The lacrosse world turned their eyes to Philadelphia, the City of Brotherly Love, this past weekend for LaxCon 2019. The Pennsylvania Convention Center, nestled in the heart of Center City, played host to the annual event. Youth organizers, coaches, players, and sports entrepreneurs gathered together to share their thoughts, perspectives, and wares. Don’t just take our word for it, see the jam-packed convention floor! A wide variety of influential figures in the lacrosse community took the time to speak with us over the course of two days in Philadelphia. Matt Rambo of the Philadelphia Wings shared his thoughts on the youth lacrosse landscape and how he believes that the visibility of the game has exploded thanks to social media. Dave Kotowski of Team Elevate stopped by our booth on Friday afternoon to discuss the overall state of youth lacrosse and the areas in which the sport could stand to improve. 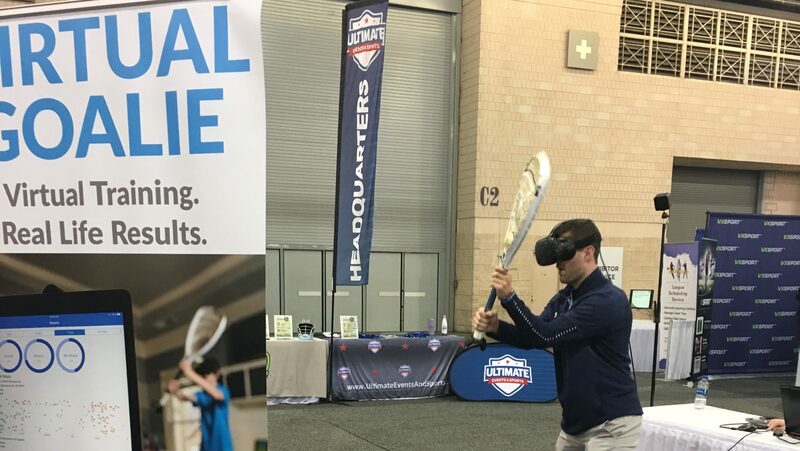 Kotowski likely boasted the most impressive lacrosse resume at #LaxCon2019. After a standout career at Brown, he played professionally in both the MLL and the NLL. From there became the president of the Long Island Lizards. He’s been in his current role as the Director of Team Elevate for a decade and was recently named the Chief Connections Officer of the Lacrosse Business Network. Needless to say, when he speaks, lacrosse enthusiasts listen. Major themes began to present themselves over the weekend. After speaking with a majority of organizers and coaches, strategic partnerships were stressed as an important driver of both sport and organizational growth in 2019. Refreshingly, even the most enterprising organizations looking for substantial growth in 2019 were quick to point out that the game needs to remain fun for players and parents at the youth level. The rapid professionalization of youth sports cannot turn the player/parent experience into a “grind.” For more from our time in Philly, check out our Twitter and Instagram feeds.